Most of you know me as a sketch artist, illustrator, and writer. But what you may not know is that I’m also a printmaker. 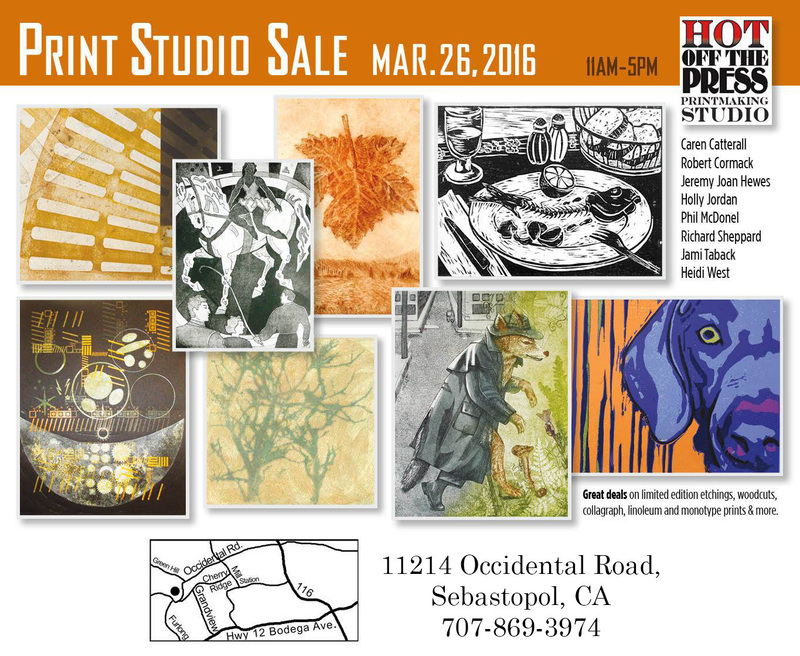 If you live in the area, stop by my print show happening in Sebastopol on March 26. I’ll be showing my etchings, drypoint, and woodcut prints. There’ll also be several other printmakers showing their works. I’ll have signed copies of my new book, Impressions Of Wine Country available too! March 17, 2016 March 17, 2016 Richard SheppardComments are off for this post.